Who are your current customers, followers, etc.? What do they all have in common? Do your customers fall into a few subcategories that you can analyze? By understanding your existing customer base, you can better target others who might fit into those same customer profiles. Step 2: Size-up the competition. You might be able to gain more insight on your potential customers by learning more about your competitors, and who they are currently targeting and serving. Learn all you can about the competition: read through their websites and social media pages, and study their content, products and/or services. 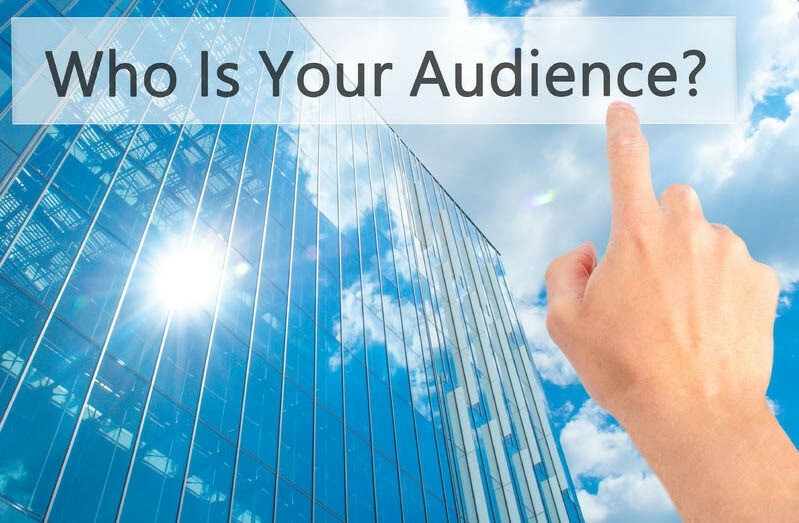 Who is their audience and how well are they serving them? Step 3: Take a walk in their shoes. In order to connect with your target audience, it’s important to think and feel like them. This calls for turning the tables and viewing the world from their perspective, not necessarily yours. Empathize with their pain points. What are they seeking to learn? How can you answer their questions? What are their needs? By answering these questions, you’ll be able to offer content that interests your audience. Step 4: Embrace your demographic. One of the most effective ways of understanding your potential audience/customer base is to spend time interacting with those customers and knowing how to operate in their realm. That may mean attending events that cater to your target audience and connecting with customers on social media. Be sure to know the working language or lexicon of those you are targeting, as well the ways they interact with one another, and the world. Step 5: Dig deep into data. Unless you develop an appreciation for the power of modern data analytics, you will largely be fumbling in the dark when trying to understand your target audience. Google Analytics is a great tool for learning about customer behavior and interests, allowing you to see useful information, such as which web pages are attracting visitors and how long a piece of content holds their interest. There’s no replacement for hard numbers when it comes to understanding your target audience. Looking for more help with your webinars? Check out Worktank’s other Webinar Blog Posts, including What Webinar Attendees are Looking For and 5 Tips for a Successful Webinar.